The UK manufacturing sector slowed slightly in March 2017, but performance remains strong and figures are still above average. The latest Markit/CIPS UK Manufacturing Purchasing Managers’ Index (PMI) posted at 54.2 in March 2017, lower than February’s figure of 54.6; displaying a slowdown in output and new order growth since the record results seen at the end of 2016. “Growth rates in the sector have cooled somewhat since the record figures at the end of 2016 and the strong results seen at the start of the year, but are still well above longer-term trends and reflect a solid performance in uncertain times and in defiance of the naysayers,” comments David Johnson, Director at currency specialists, Halo Financial. New business came mostly from the domestic market, with a weak Pound once again helping to boost exports. The industry continues to see plenty of new orders coming in, noting continued growth in overseas demand. The increase in UK manufacturing production slowed for the first time in nine months, with consumer goods producers the most affected, demonstrating only small levels of output growth. This is in contrast to February 2017, when consumer goods noted a positive increase in new orders. The intermediate and investment goods sectors, who saw significant growth in February, continued to see improvement and again recorded a significant boost in the last month. The outlook for the industry remains positive, with rising business confidence at the highest level for almost a year. Attitudes remain positive and demonstrate an upturn in optimism since February, with over 50 percent of companies now predicting an increase in production over the coming year, and only six percent forecasting a slowdown. 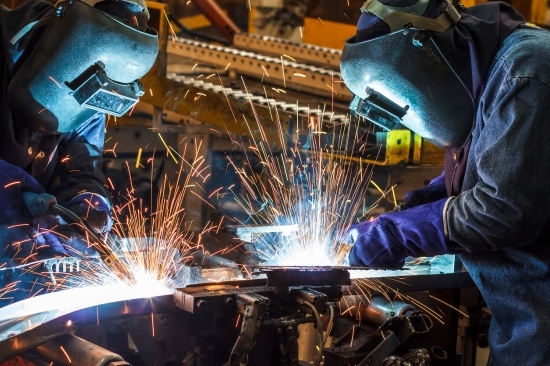 A positive outlook has contributed to employment in the UK manufacturing sector, with headcounts rising for the eighth month in a row in both SMEs and larger businesses. Jobs growth has increased at the fastest pace for a year-and-a-half. Price pressures remain an issue for the sector, with costs elevated throughout March and output charge inflation on the up, edging closer to the record high recorded in January 2017. This was largely due to the increased costs of raw materials pushing up vending prices. Input costs grew at one of the fastest rates since the survey began, although this has weakened over the last six months. Manufacturers cited the weak Pound and ever-increasing commodity prices as the reasons for increasing costs, in addition to the knock-on effects of supply chain pressures, with vendor led times at the longest for nearly six years.